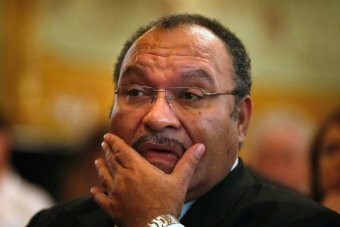 ← Breaking Bougainville News: PM Peter O’Neill takes on ministerial responsibilities of Minister for Autonomous Region of Bougainville. Aloysius Laukia, spoke to Johnny Blades Radio New Zealand about the funds shortage and its impact in Bougainville. Dried-up funds from Papua New Guinea central government have prompted the Autonomous Bougainville Government to put all payments to service providers on hold. A circular from the Acting Secretary for Finance, Brenda Tohiana, informed public departments that it has no option but to stop all commitments and payments until the cash flow situation improves. A journalist with New Dawn, Aloysius Laukia, spoke to Johnny Blades about the funds shortage and its impact in Bougainville. JOHNNY BLADES: Any explanation why.. just that there’s no money coming? AL: Yeah. Since last year there was a lot of problems getting money from central government. And then suddenly instead of accounts opening (at the start of the 2016 year), they put a stop to all payments, all their commitments so as to make sure there is no commitment made until they have the money. JB: And what does this mean for the departments and the public services on Bougainville? AL: It’s actually a big problem now for suppliers, for a lot of business deals and a lot of work that contractors do for thr government. Instead of getting paid, all of them will be waiting for such time when there will be funds available for making the payments to the suppliers and contractors. JB: Getting funds from Waigani has been a problem for the ABG for years now, I understand. AL: Yeah and through the Bougainville Peace Agreement, most of the funding from the national government through restoration development grants… guaranteed under the Bougainville Peace Agreement. But the national government has not paid 630 million kina so far. JB: Do you think this current situation, does that make it harder for Bougainville to prepare for this upcoming referendum in the next few years? AL: Yes, it’s actually making it difficult for the Autonomous Bougainville Government to deliver services to the people and to prepare for, prepare people for the referendum. There’s no awareness in the villages on the Peace Agreement, on the referendum, a lot of issues. Most of this is because of the funding problem. So the Minister of Bougainville Affairs who is also the Papua New Guinea Prime Minister of the national government has not paid 630 million kina owing so far to Bougainville. Why? PM O’Neill told EM TV on 22 January 2016, that he is committed to helping Bougainville. So if that is the case why has he held back 630 million kina that is owed to Bougainville? Is he holding Bougainville to ransom and the right to a referendum on Independence on Bougainville perhaps?